The hard sell has begun on the pre-Christmas diet. If you aren’t on some programme to get into that little black dress then you have truly given up; you might as well crack open the mince pies and ladle on some brandy butter while you’re at it. It was enough to depress the most Christmassy of souls. I’ll lose 10lbs now to fit into my dress, then pile it all back on in two days of gorging on booze and chocolates? The worse thing is you know what is looming around the tinsel-decorated corner: the January detox and column inches dedicated to the latest way to lose Christmas weight forever. 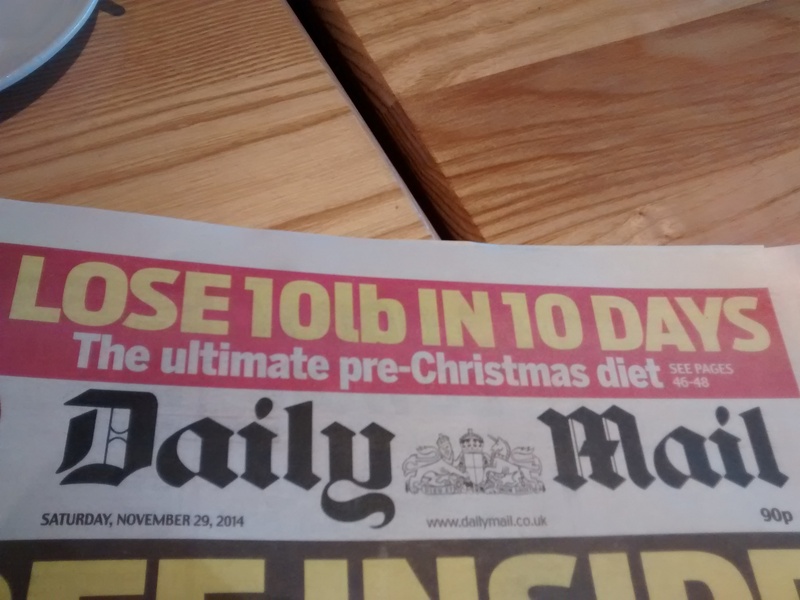 Thanks Daily Mail, but I think I’ll pass this year. Maybe we have better stuff to do with our lives than obsess over a number.